It looks as though LG is planning to start 2017 off right by unveiling a bunch of new phones, shining a light on them at CES 2017 in January. The new handsets range from returning favorites to a brand-new line. The tech giant reportedly has seven smartphones in the works, and all but one will debut during Las Vegas' massive tech show, according to the oft-accurate Evan Blass of VentureBeat. LG will update its K-series with a quartet of handsets, namely the K3, K4, K8, and K10. These devices first showed up at CES 2016 as part of LG's moderately priced K-series. Also expected is the smart pen-compatible LG Stylus 3 and the first-in-the-series LG X calibur - an IP68-rated, dust- and water-resistant phone with reported military-grade endurance and a 4100mAh battery. While the phones will launch during CES, Blass notes LG intends to pre-announce its new devices in the lead-up to the show. We may start hearing about the phones as early as next week. LG isn't done with phones after CES, though. 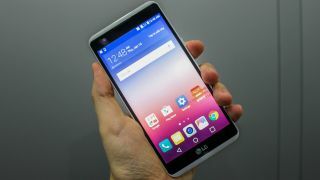 Blass reports LG also plans a new phone for February/March's Mobile World Congress in Barcelona. This device is expected to be the sequel to the LG X power, and it could come with a massive 4500mAh battery. Despite these early year debuts, it could be awhile before you hold LG's new wares in your hand: the K-series won't ship till mid-January, the Stylus 3 a month later and the X calibur and X power 2 in March and April, respectively. In addition to seven smartphones, LG may also be working on a series of four new smartwatches rumored for release next year, not to mention all the TV and other gadget news we expect at CES. Can't say LG is taking it easy in the New Year, that's for sure.